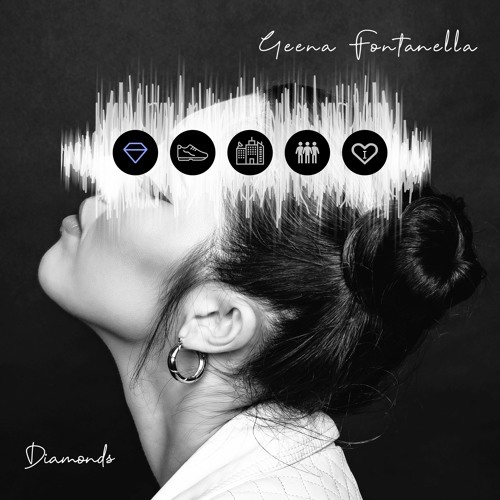 Los Angeles-based singer-songwriter Geena Fontanella has just unveiled her stunning new single Diamonds which features a stripped-down soundscape with a simple guitar riff playing in the background! There's something about her silky-smooth vocals that got me hooked to the song after her very first note. I am really enjoying the easy-going flow of the instrumental, allowing her gorgeous vocals to shine bright. Diamonds is a terrific piece of pop music and I am absolutely in love with that electric guitar solo that gives this super smooth track quite a dose of energy. Geena's honeyed vocals and haunting harmonies are incredibly captivating and are backed by an innovative production and introspective lyrics. This is a perfect chillout pop track with quite a kick. There's something here that makes it stand out from all the other pop songs out there at the moment and I am excited to share this gem with you guys! Check it out below! There's something electric that happens when a man makes you feel like the only one in the room. It's magnetic, exciting. If you can find someone who focuses on you first, then you'll always feel like a treasure.